War paint is essential in the battle for a barrel, and Aquaman has tested the resilience of many products in long sessions of immersion and exposure. The other major consideration is the toxicity of the ingredients to both the user and the environment. A new sunscreen has emerged from the Island of the Gods, and it ticks all the right boxes with a funky logo and recycled packaging. Surf Yogis was developed by an Aussie surfer and yogi, and is quickly gaining a cult following among watermen that like their screen organic, natural and effective. Made from cacao butter, cocoa powder, virgin coconut oil, organic beeswax and zinc oxide, it is almost edible. It smells divine and the addition of "magical Bali mojo" may even help you surf better. It comes in a block form and is seriously thick, so not that suitable to smother over your entire body (we recommend Natural Instinct 4hr Suncscreen for that), and it's hard to remove - but that is that point, you don't want it to rub off and cut short a pumping midday surf session. Most sunscreens use a cocktail of nasty multi-syllabic ingredients that can cause skin irritation and be absorbed into the blood stream. Zinc oxide provides a physical barrier and is the only sunscreen agent to offer protection against the full spectrum of UVB and UVA rays. To date, the current weight of evidence suggests that zinc oxide nanoparticles do not reach viable skin cells; rather, they remain on the surface of the skin and in the outer layer of the skin that is composed of non-viable cells. At this stage Surf Yogis is only available in Bali and Lombok, but hopefully it will be appearing in all conscious surf shops and chemists soon. For now, stock up on your next trip to Indo and "carry the vision of a cleaner and more positive environment in and out of the surf." Available at these retailers. great job on your blog... i see a lot of effort and creativity went into it! 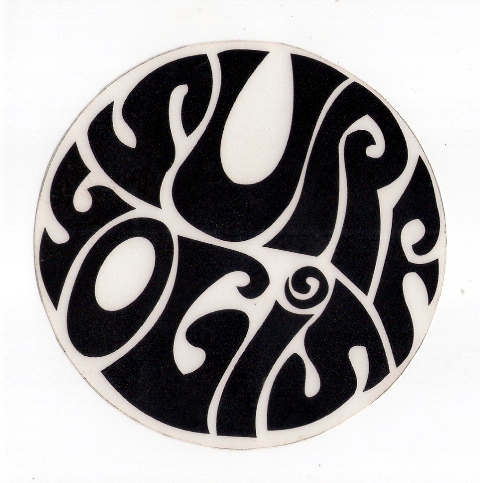 Surfyogis-thats my friends company. Jonny, have you met him, great guy, if u see him say hi from ellen and mike! happy xmas and new year to you guys. when u headed back to WA? mikes in snowy Utah, im there soon, sundance,cant wait! Nice blog! I love the Surf Yogis sunscreen too - it's great stuff! You can check out my blog about Bali also at www.livebali.net ! Is it possible to by surf yogis suncreen in the United State or online? Thanks for any tips.